We’re more than a week into the new year now and I thought it was time I sat down and wrote something. I started this post a few days ago but somehow never reached the point of clicking ‘publish’. Unfortunately in light of the awful news in Paris yesterday, it feels a little selfish now, but I’m not sure I can articulate my thoughts on that eloquently enough to do it justice right now. Thankfully for the rest of us, life goes on and I guess it is very important that it does. We cannot let acts of terror change that. Christmas was good and a welcome break after the stress of the dissertation submission. Caught up with family, ate too much tasty food, finished a couple of knitting projects and tried to learn to play my surprise present – a piano. 2015 will be the year I learn to play with both hands. I’ve been reading music since I was a child, but I played the flute and sang so rarely had much exposure to the base clef. 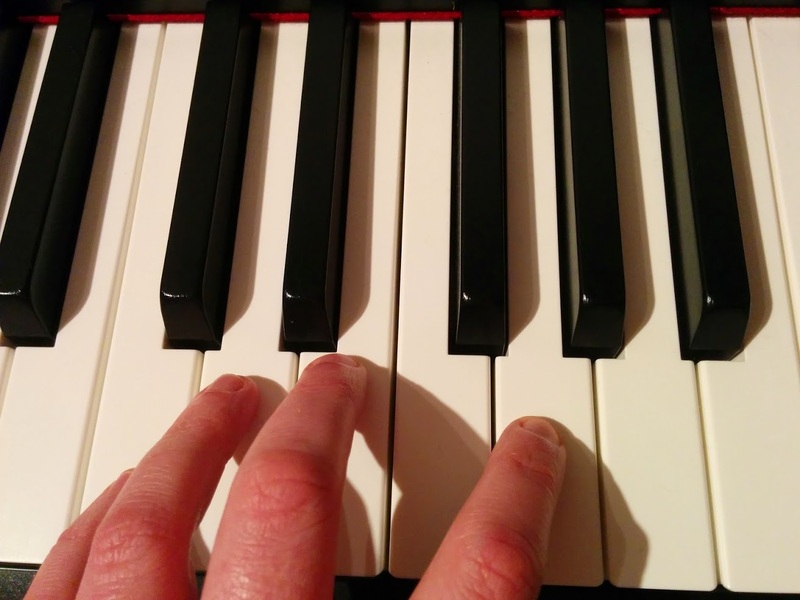 I’ve always wanted to play the piano and although I can pick out melodies with my right hand, I struggle to do much with my left. Progress has been slow so far, but I’m trying to spend a little bit of time each day in front of the keys. Thanks to a handy ipad app I’ve been using, I can just about play ‘twinkle twinkle’ with both hands now! Although this down time has been nice, by the middle of last week I was starting to get a little bored and keen to get back to work. The only issue is I haven’t found any yet. The search was largely put on hold over Christmas as nearly every recruiter in the land was busy enjoying their festive break, but with the arrival of January the job boards are busy again and there are signs that people are thinking about new hires for the new year. Hopefully one of these new hires will be me! One thing I am finding a challenge is how to present my story to recruiters. My career path has not exactly been conventional and the last year or so has involved studying for my master’s, leaving Accenture and some freelance work. My past roles have been diverse, ranging from L&D transformation for Accenture’s graduate programme through to IT Systems deployment in the NHS. Personally I see this versatility as a strength, but I am finding it difficult to market myself. One thing consistent throughout my experience has been lots of stakeholder engagement and project management, so I have tried to focus upon these skills, as well as my desire to specialise in learning and talent projects, but as yet I’m not sure I’m getting it right. For those that have seen my profile, I’d be interested to know your thoughts and whether there is more I could be doing and if anyone would be as kind as to review my CV, I’d really appreciate it. In the meantime I’m just cracking on with the usual job search activities and trying to get other admin in order. I’m also definitely missing study already and wondering what else I could be researching or learning, aside from piano this year. I may have to see what MOOCs are kicking off in the next month or so if I have the time. I’m also starting to nervously eye the end of the month on my calendar and wondering when I will get the final results for my master’s dissertation. All fingers still crossed for good news on that front.